At Agaperium, we enjoy crafting and making natural materials pretty with our hands. 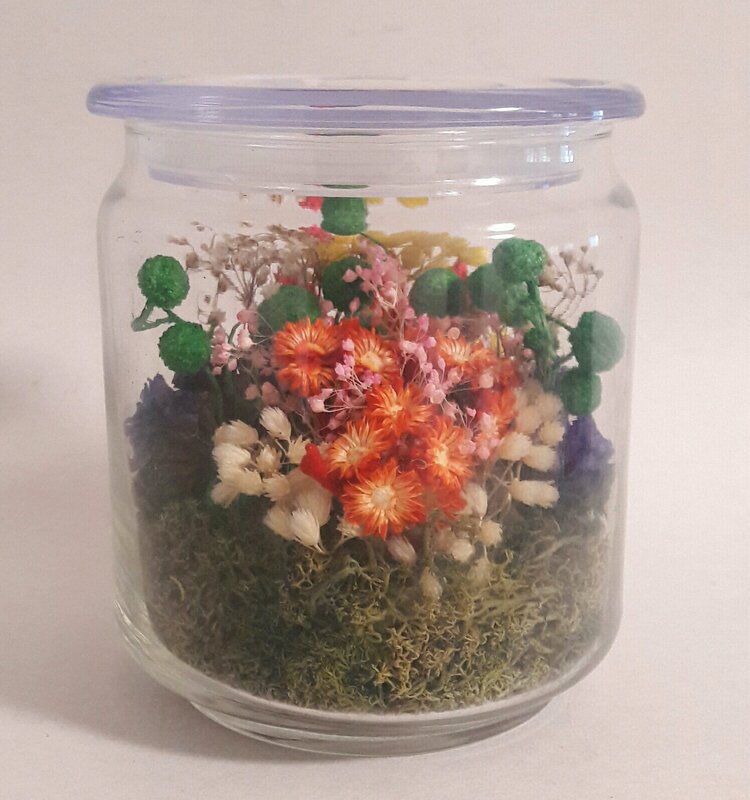 We provide a wide range of natural materials such as dried flowers, seashells, leaf skeletons, dried moss, beans and grains to make creative crafts. Our instructors have a passion to share techniques of putting together these to make beautiful gifts or handicraft decorative pieces at our workshops for all ages. Don’t you love to have colourful flowers to brighten your living or work space but feels sad when they wither and die? 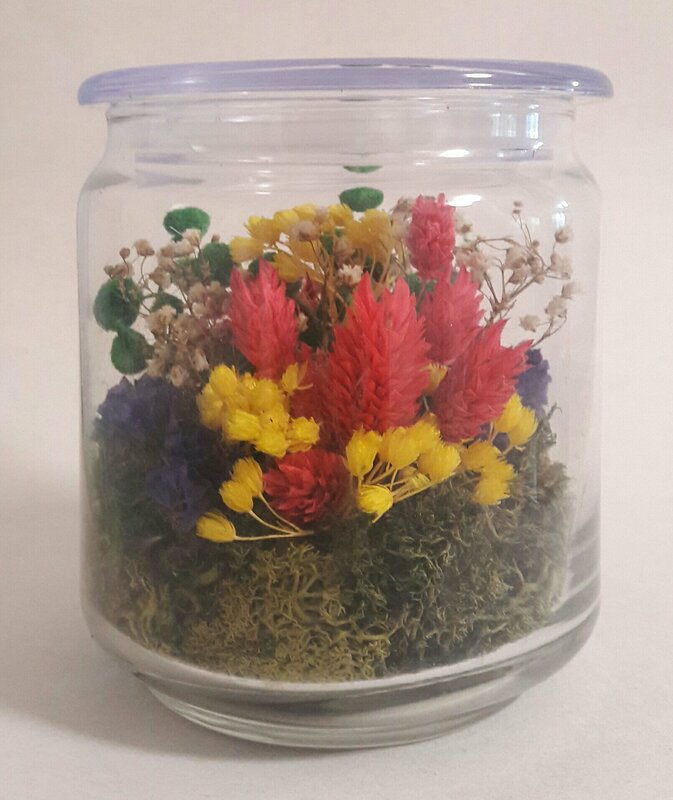 Try out mini dried flower arrangements in a closed container to brighten your living spaces. And what’s best – they are real yet everlasting! Our dried flowers workshop allows you to use you creativity to build up an exquisite mini floral arrangement that can add colours to your living space. Our nature collage workshop promotes the appreciation of nature by using materials from natural sources such as beans, grains, seeds, leaves and flowers as well as seashells to form abstract or pictorial art pieces. Participants, young or old can flaunt their creativity and enjoy putting together these natural elements to form their very own painting or craft. This workshop gathers multiple types of materials from our mother nature together to form a creative art piece. Learn about the various nature media such as leaf skeletons, dried flowers, sea shell and seeds. Bring the sea nearer to you with this fun and creative seashell workshop. Participants will get to form their abstract or patterned pictures with different types of seashells on a coaster or a framed wooden board to form a pretty art piece that brings a natural feel to your living space. Through this workshop, participants will learn how to make an art piece using different of beans and grains. They can design their own pictures or follow the ones we give to them. Children can also learn about the different types of beans and grains. To complete the art piece, participants can put colour sand as background. This workshop allows participants to create beautiful candles by placing colourful layers of sand in a glass or cup and adding in glittery and colourful bits of decoration and pretty items. Garden, cartoon character or Christmas themed figurines available to choose from. This fun workshop lets participants create their own fancy specialised candles by molding softened wax to their favourite shapes or objects. Each workshop makes three figures that are of 8cm in height, or many more smaller figures. Mulberry painting workshop is both educational and helps children in their physical and mental development. It trains the co-ordination of right/left hand, develops both the left and right brain functions, trains patience and is used for art therapy in Western countries. Mulberry paint is made from the bark of the mulberry tree. Not only is it odourless, it is also environmentally friendly. Unlike normal paint, mulberry paint presents a 3-dimenional effect after it dries. Participants will use simple techniques to apply mulberry paint on a corkboard / cardboard to decorate their rooms or walls.